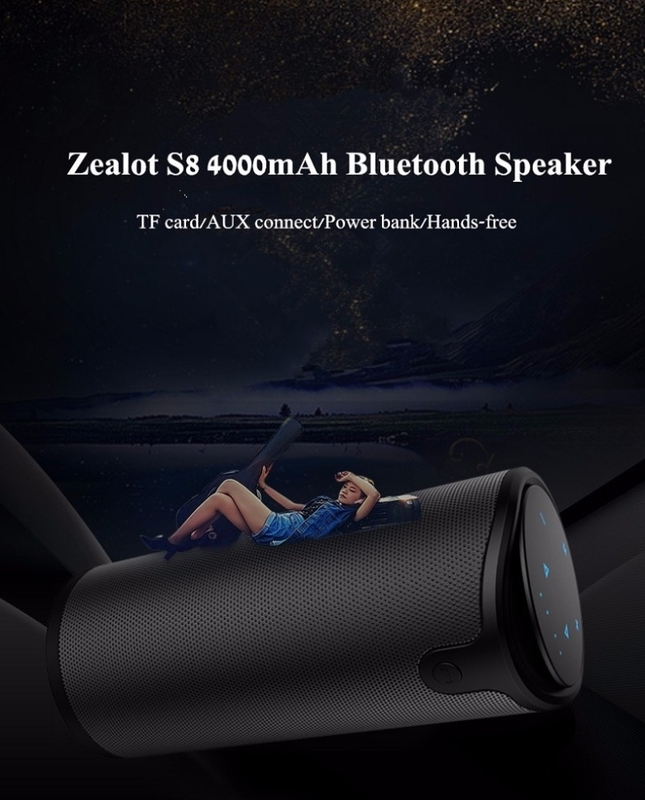 The S8 HiFi Speaker from Zealot pairs with all Bluetooth-enabled devices including smartphone/tablets/PC and allows wireless music streaming up to 10m away. Equipped with a smart audio chip, two magnetic speakers and diaphragms, ZEALOT S8 can provide 360-degree surround sound performance at Hi-Fi level. 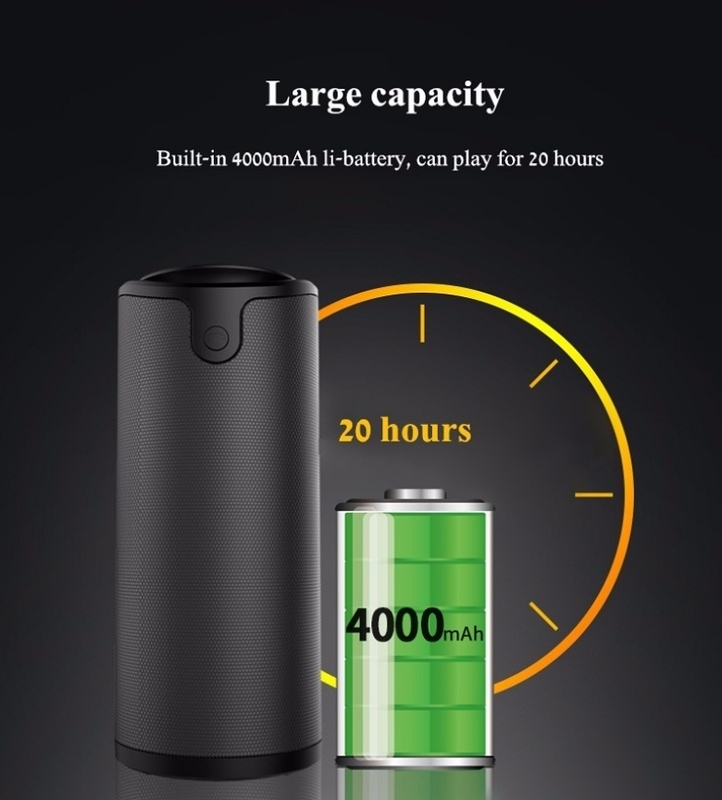 Built-in 4000mAh rechargeable battery that provides up to approx. 20 hours of playtime. And a touch panel with blue breathing lights, very easy to operate. 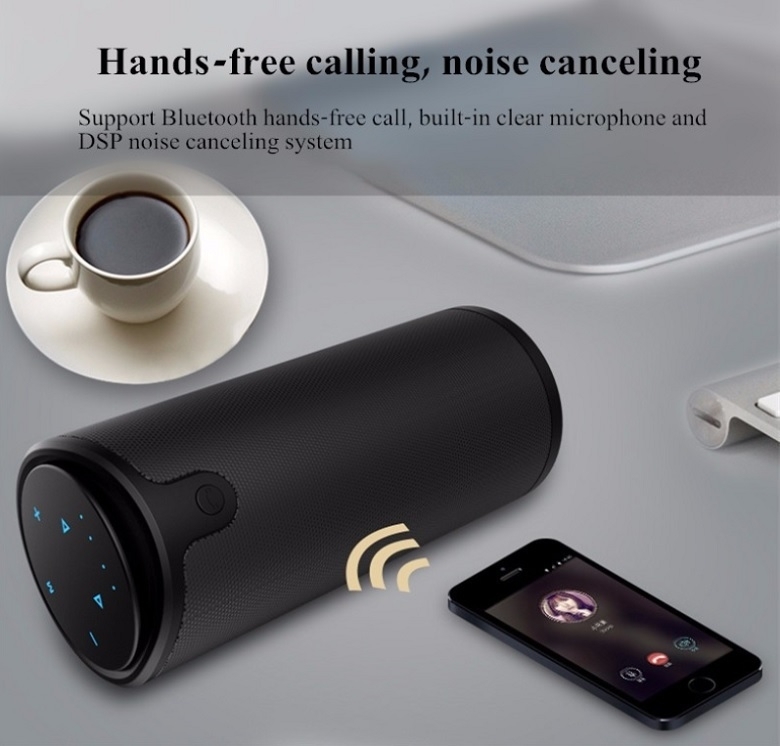 It also supports hands-free talk thanks to the DSP noise-canceling microphone. 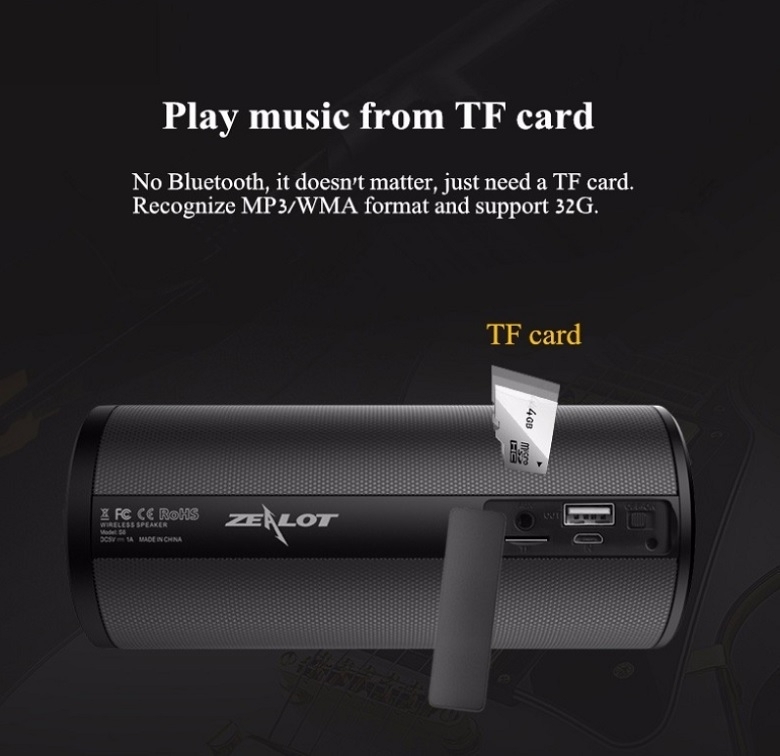 TF card and Aux-in are supported as well, freely enjoy music. Meanwhile, the exclusive APP develops many useful functions including listening to music online and via the radio. 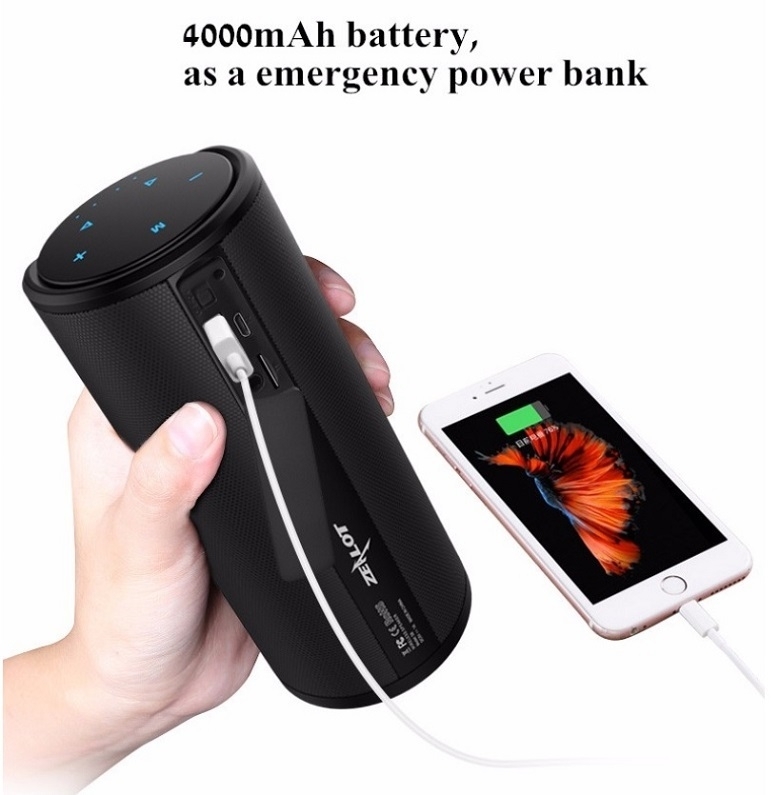 What’s more, it can be used as a power bank with 4000mAh for emergency charging for your phone. 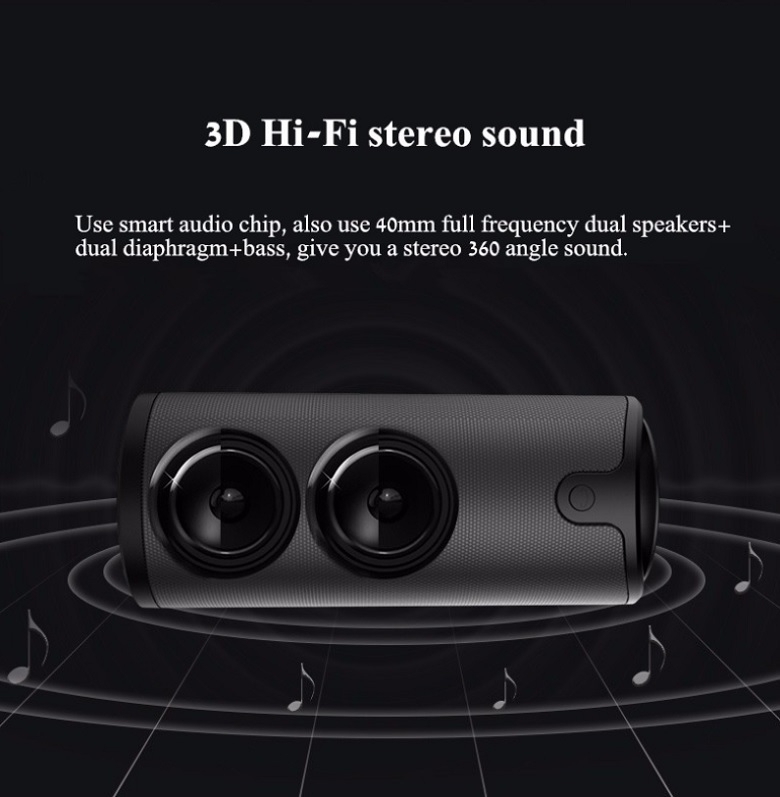 Equipped with a smart audio chip, two internal magnetic speakers and full-frequency 40mm diaphragms, for top quality step up 3D HiFi Stereo sound. 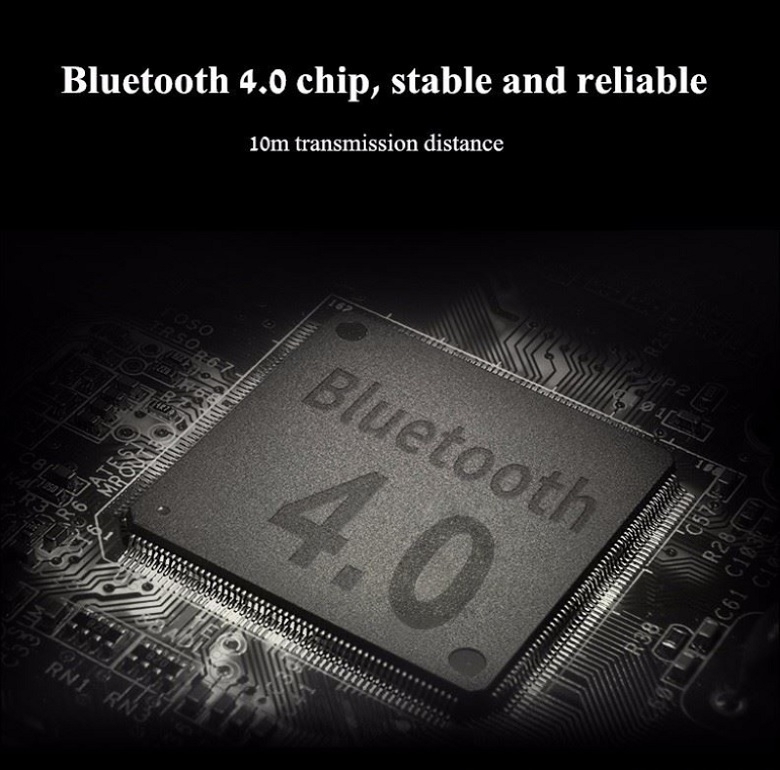 High-performance Bluetooth module ensures powerful compatibility, long-distance and stable transmission, lower power consumption. 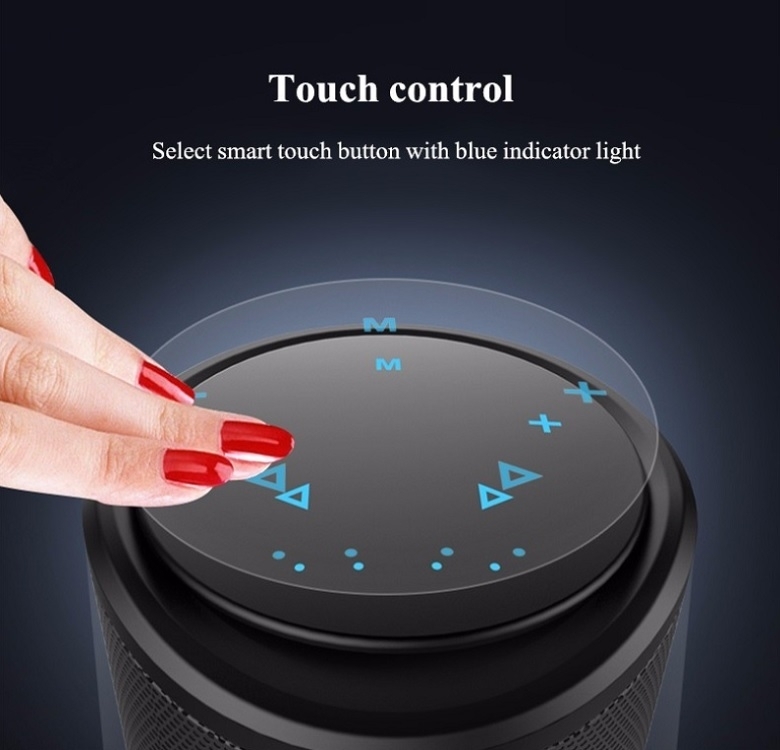 The touch panel with blue breathing lights, allows you to switch songs, control volume and more with just a gentle touch. 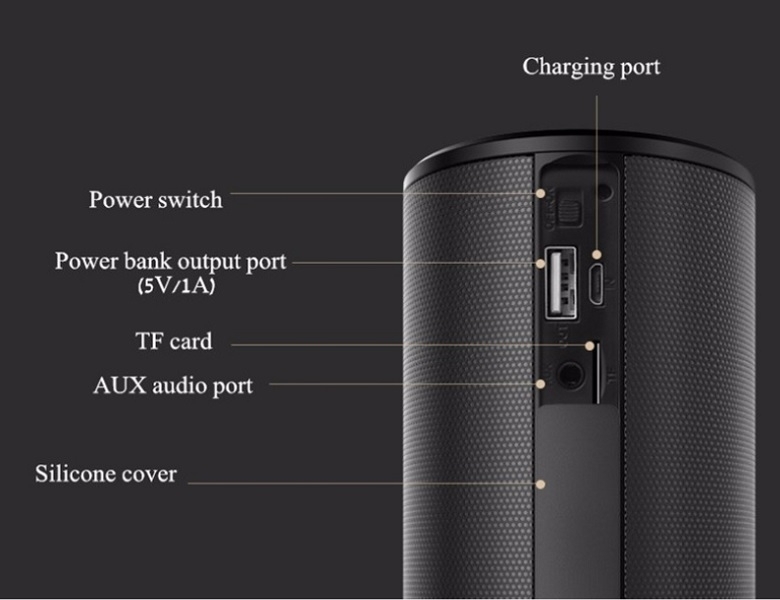 Built-in hands-free microphone and DSP noise canceling system enable super clear phone calls and voice chats. 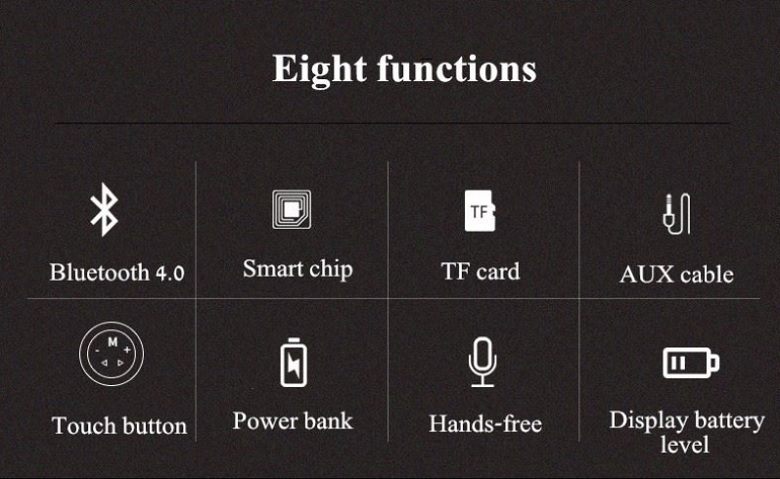 Built-in Li-Ion battery supports 20-hour playtime on a single full charge. 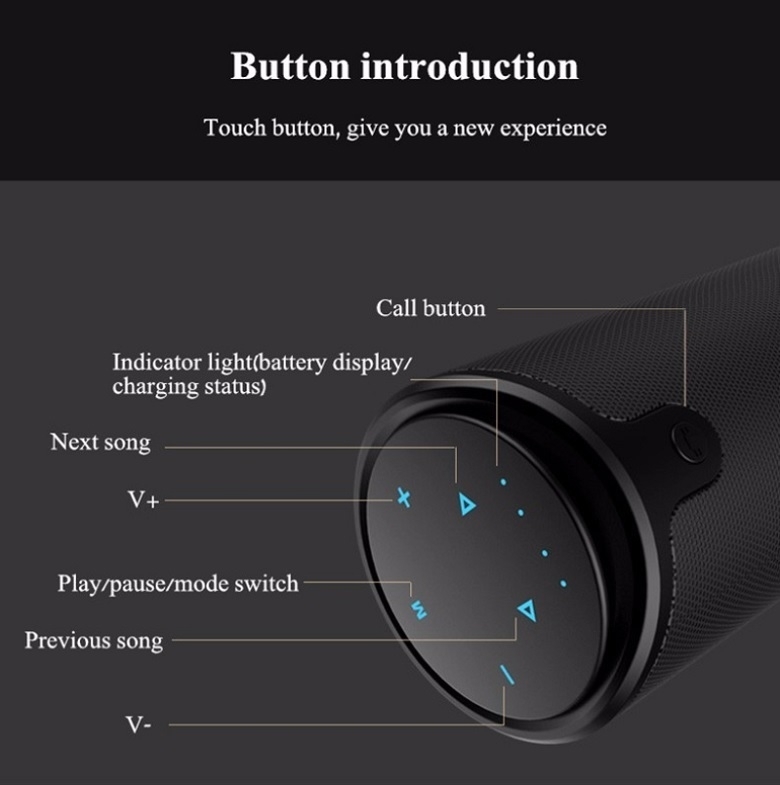 It also works as a power bank; simply charge your phone via the 5V/1A port. 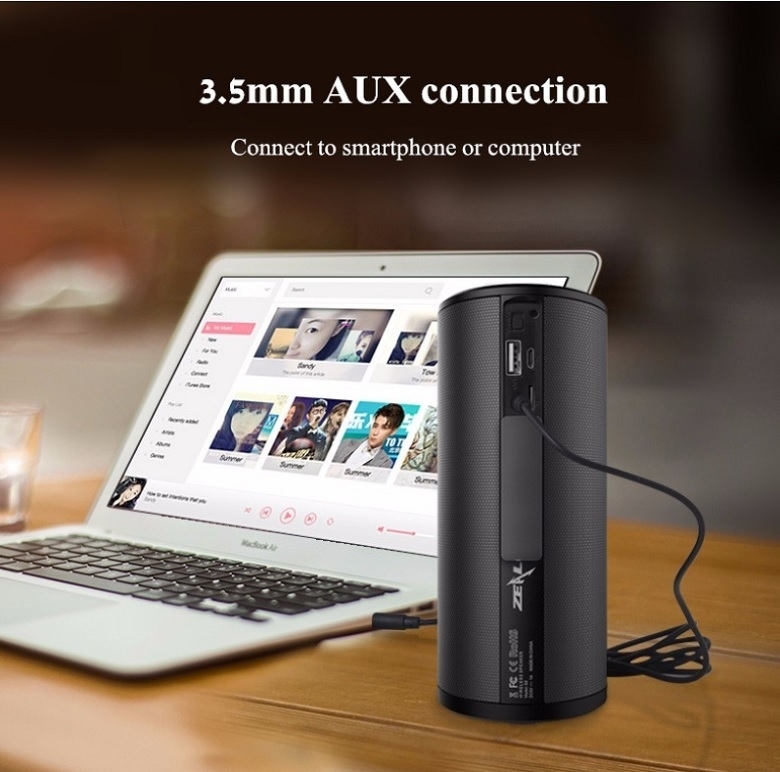 Connection in multiple ways; 3.5mm AUX, Bluetooth, or TF card playback up to 32GB (not included). The Zealot App’s powerful functions include listening to music or radio online; all compatible with Android and iOS system. 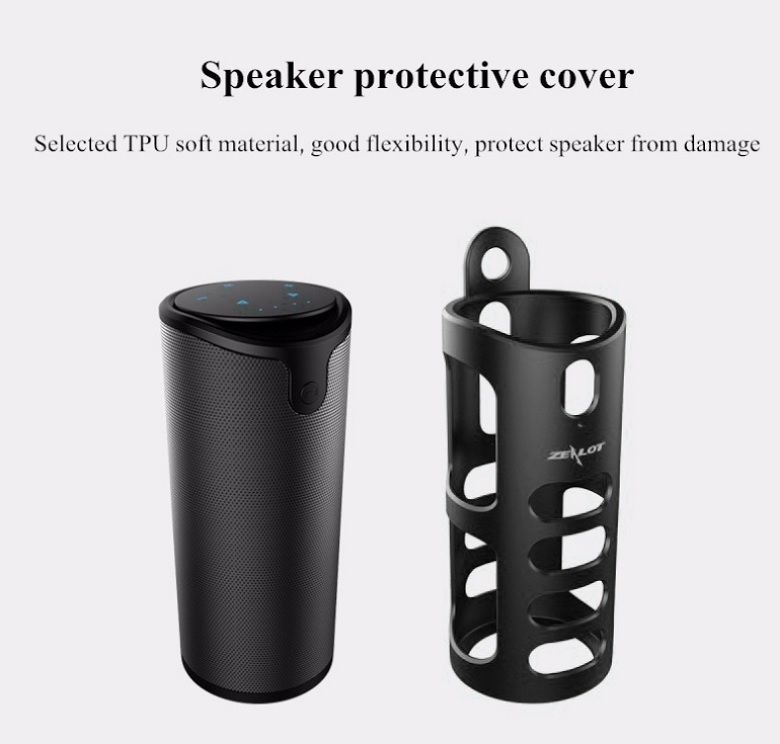 The ZEALOT S8 HiFi Bluetooth Speaker is compatible with smartphones/tablets/PC etc. 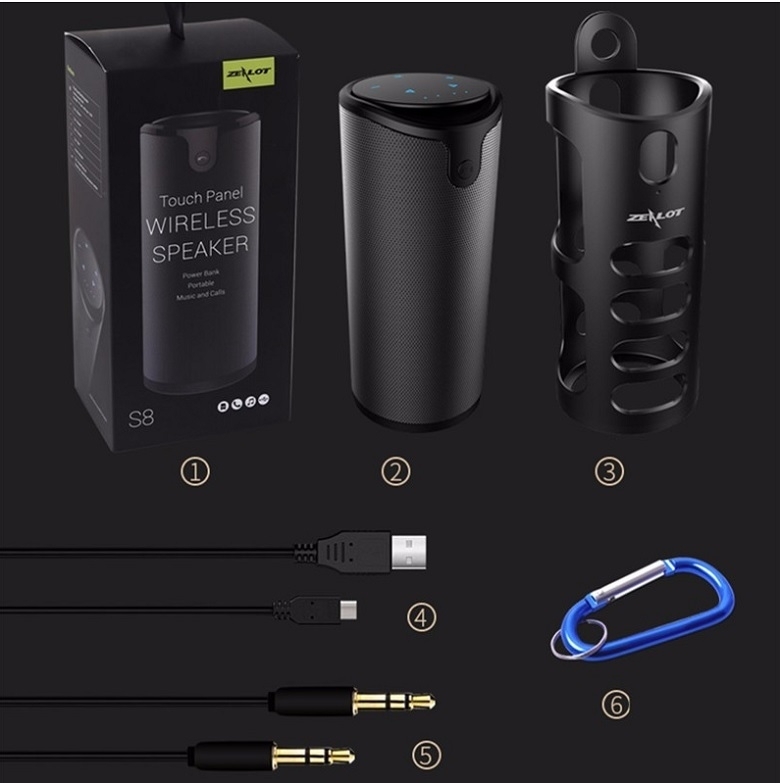 with Bluetooth function in Android/WP/iOS systems.